With only 5 weeks to strategize and execute, IRL was under a major deadline when 8 week old Highlight asked for a unique SXSW activation. IRL designed a street team program that cut through the noise at SXSW and engaged attendees with a fun, traveling promotion utilizing the app's technology. 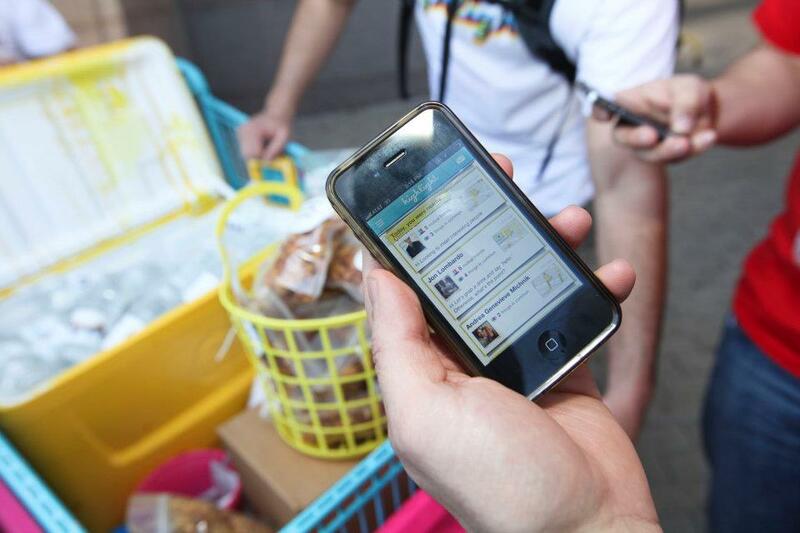 IRL fabricated custom Highlight carts that travelled through the city targeting key events. 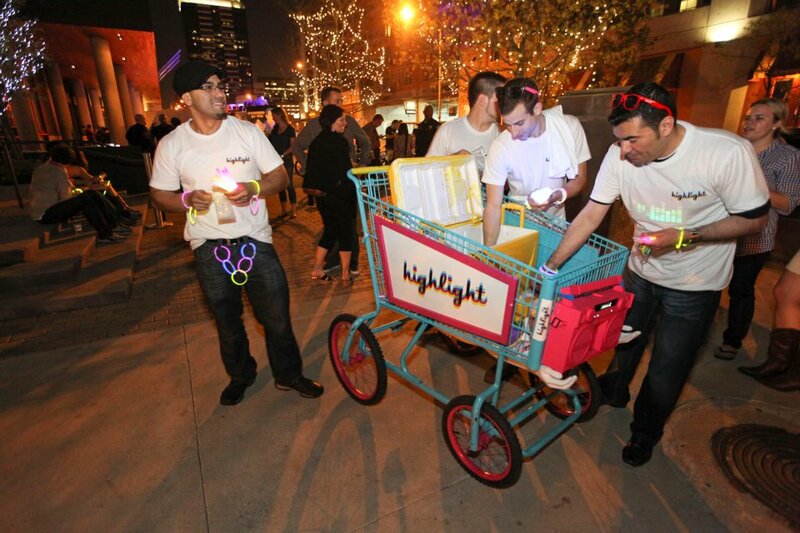 Brand ambassadors packed the neon glowing carts with Highlight tee shirts, coffee and granola in the mornings and snack packs and emergen-C packets late at night. And just like the attendees, the Highlight carts were out to the wee hours of the night, rocking with tunes and goodies. 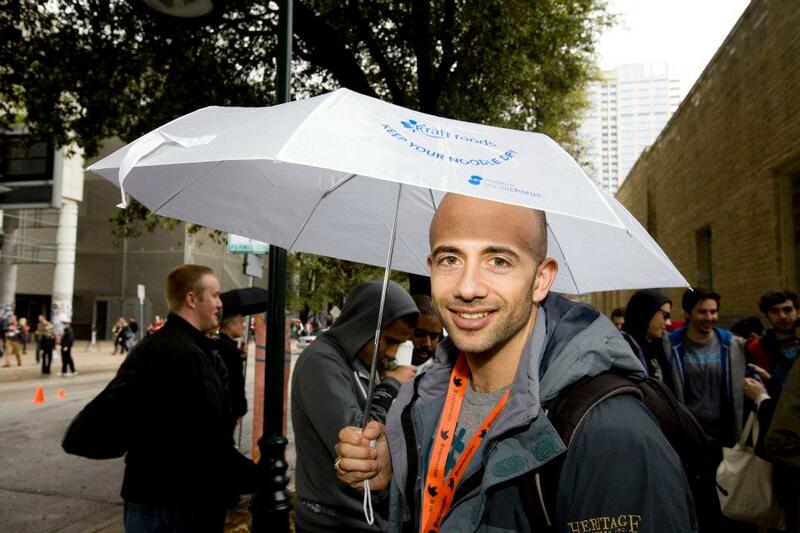 Kraft Foods didn’t come to the South By Southwest Interactive festival with a plan to distribute umbrellas but when the weather report indicated 3 days of heavy rain, our client moved quickly on a creative branding play. IRL worked with the Kraft team on an aggressive plan to design, print, ship and distribute branded umbrellas in 16 hours. We were able to source and customize umbrellas in Los Angeles and have them sent overnight to Austin. As the truck drove up, our street team went into action and hit downtown to hand out free umbrellas to soggy but grateful SXSW attendees. Of course, there was a catch. People who wanted to keep their noodle dry had to let us use their phones to take their photos holding the umbrellas. Then we asked attendees to upload that photo to Twitter with the hashtag #keepyournoodledry.